The New Year ushered in a new era for the Evangelical Lutheran Church in Tanzania (ELCT) when Mr. Abel Moses Mrema became the Deputy Secretary General Finance and Administration for the Church. Mr. Mrema reported at the ELCT office based in Arusha on January 5, 2009 to be the second Tanzanian, after Mr. Aminiel Mungure, who retired at the end of June last year, to hold such a position. Born on 28th May, 1957 in Moshi, Kilimanjaro Region, Mr. Mrema completed his primary school education at Mapinga Primary School in 1971 in Bagamoyo District. On his Secondary school up to A level he studied between 1972 and 1977 at Pugu Secondary School in the then Coast Region. He studied at the then IDM Mzumbe between 1981 and 1984 and obtained an Advanced Diploma in Certified Accountancy. 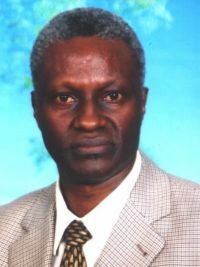 From 1979 to 1992 Mr. Mrema worked in various Government Departments as Registry Assistant and then Treasury Accountant. From 1993 to 1999 he was with the Ministry of Finance where he served as Project Accountant under a project funded by the United Nations Development Programme (UNDP) for strengthening National Execution of all the support from UNDP to Tanzania. He became Head of Programme Support Unit (PSU) at the UNDP Country Office in Tanzania as Programme Resources Analyst between 1999 and 2004. Thereafter upon office reorganization he became Head of Development Support Services (DSS) a position he served up to the end of 2008. Mr. Mrema is a Certified Public Accountant (CPA) in Tanzania having studied at the Institute of Accountancy in Arusha (IAA) and National Board of Accountants and Auditors (NBAA) CPA Review Courses between1989 and 1991. From 2007 to-date he is enrolled for an evening class for an MBA programme at ESAMI in Arusha. He is a registered member of the NBAA. In his own words Mr. Mrema says: "I had this call to serve the Lord on a full time basis only that time of God hadn't come." He said: "For everything there is a season, and a time for every matter under heaven," (Ecclesiastes 3:1). Mr. Mrema is married to Elizabeth Nderumaki and together they have been blessed with three children - one girl - Helen and two boys - Daniel and Gamaliel. In his welcoming remark Mr. Brighton Killewa, the ELCT Secretary General, assured him of full cooperation from all the staff in performing his duties: "Arise, for it is your task, and we are with you; be strong and do it," (Ezra 10:4).